Are you wanting to replace media files and images on your site with new versions? 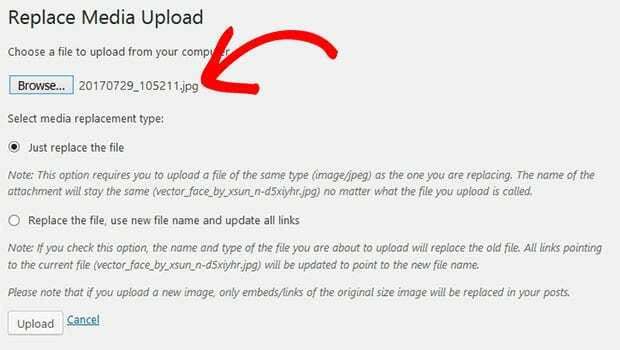 You may know that uploading the same image again having the same filename doesn’t seem to have any effect – the image still looks like the original. It happens due to the WordPress image cache. 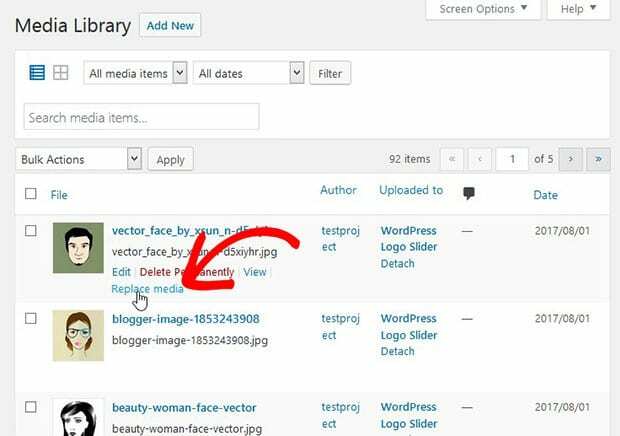 In this tutorial, we will share how to replace your images and media files in WordPress. 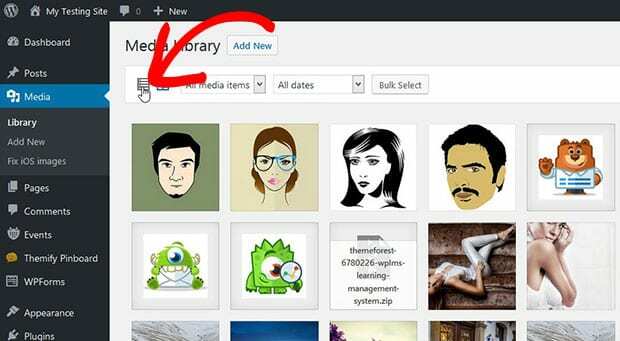 It is recommended to use the Enable Media Replace plugin to update new image files on the previously uploaded photos. This plugin will not affect the meta information and update the changes made by you in the images. The first thing you need to do is install and activate Enable Media Replace WordPress plugin. You should check out this simple guide to learn how to install a plugin in WordPress. After activating the plugin, you need to go to Media » Library and click on the list-view icon. The list-view displays the option to replace your media file in WordPress. Once you switch to the list-view, you’ll see the option of Replace Media under each image with the other options. Hit this replace media link. It will take you to a new page where you can replace the media file. Simply click on the Browse button and choose the media file from your computer. There are two options for you to either replace the media file or update the filename and links on your site. Once you choose your option, click on the Upload button. You can repeat this process and replace as many images and media files as you need. That’s all. We hope this tutorial has helped you to learn how to replace your images and media files in WordPress. You may also want to check out our guide on how to optimize WordPress slider images for fast loading. In case, your images are loading slow in WordPress, you should check this ultimate guide to boost speed and performance.